Located 2 km from Albufeira, Villa Morris offers air-conditioned accommodation for 8 persons and an outdoor swimming pool. It features private parking. Villa Morris includes 2 double bedrooms and 2 single bedrooms each with an en suite bathroom. Located 300 metres from Old Town Square, the modernly-decorated DLoft Downtown offers accommodation in Albufeira. The property features views of the sea and is 600 metres from Fisherman's Beach. 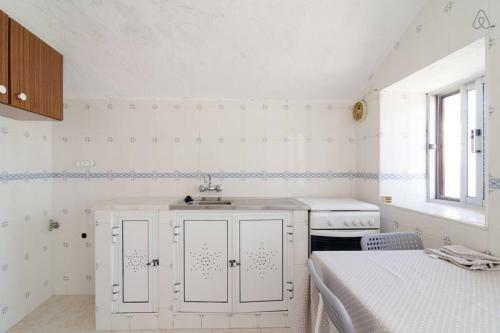 Located in Albufeira, this air-conditioned holiday home is set 2.1 km from Albufeira Marina. Guests benefit from terrace. Free private parking is available on site. The unit is fitted with a kitchen. A flat-screen TV is featured. Located in Guia, 6 km from Albufeira, Villa Quinta do Jolu offers an outdoor pool. The property is a 6-minute drive from the Galé Beach. This house includes 3 twin bedrooms and 1 double bedroom.